All is not lost — We can help! We are devoted to divorce & family law. It is unfortunate, but not uncommon, that many couples in today's society find their lives turned upside down by divorce and everything that comes along with it—including disputes over child custody, property division or spousal support. If you are facing these very difficult issues, you will need a lawyer who has the legal experience, knowledge and skill to safely guide you through the legal process as smoothly, and with as little stress, as possible. This is the service that Rubenfeld Law Firm can provide. When dealing with any sort of family law issue in Long Island, New York, you should not have to settle for anything less than high quality legal representation. 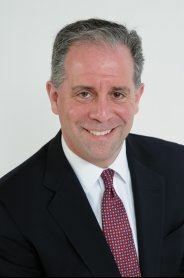 For more than 25 years, Attorney Michael Rubenfeld has been representing clients in divorce and family law cases, and you can rest assured that your case will be handled with the utmost level of professionalism. We are here to assist you in any way possible, but it is up to you to take the first step. If you are asking yourself, "Why choose the Rubenfeld Law Firm?" the answer is simple: We have been representing clients, just like yourself, throughout Long Island for decades. In that time, we have managed to resolve countless family law cases—including those pertaining to divorce, legal separation, child custody, support, domestic violence, property division, and parental relocation—all while helping our clients move on. We believe that no one should have to go through this process alone, so we have centered our practice around the philosophy that compassionate legal guidance is the most effective way to resolve any type of family law matter. When you put your faith in us, you can rest assured that we will always put your best interests first. Apart from favorably resolving your case, our priority is you. We can ensure your rights and interests are protected. We have represented clients in family law matters for more than 20 years. Feeling overwhelmed? Let our firm handle the heavy lifting. Regardless of the unique challenges that you face, it is possible to achieve your goals with the right attorney by your side. 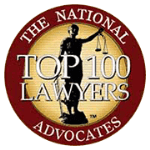 Over our years in practice, we have handled all types of divorce cases—from no asset divorces without children to high net-worth divorces where children were also involved. If you are a victim of spousal abuse, or if your children are a victim of child abuse, our firm has extensive experience with domestic violence cases. We can help domestic violence victims pursue a protective order against their abuser, telling them to stop the abuse. When a judge issues a protective order, it orders the spouse to stop the abuse and leave the victim(s) alone. Orders of protection may also require that the abuser move out of a shared home and stay a certain distance away from the victims. Should they fail to do so, they could face legal consequences. Protective orders can be valuable when it comes to your safety, and they can have a significant impact on divorces. Do you need legal assistance with a divorce, child custody case or other family law matter? Contact a Long Island divorce attorney at our firm for a consultation. If you are feeling overwhelmed, anxious, or concerned about the future, we want you to know that we are here to answer your questions. We understand the stress involved in divorce, and we believe the best way to give you a sense of control is to arm you with information about your rights and responsibilities. If you are contemplating divorce but are fearful or hesitant because of custody or asset division, we can help. If you are looking for an experienced, skilled and dedicated divorce lawyer, you have come to the right place. The Rubenfeld Law Firm is committed to our clients' success, so we welcome you to find out how we may help you. When you contact our office today, you will have the opportunity to get your case reviewed by a Long Island divorce lawyer at an initital consultation. Whether you give us a call or submit a case evaluation form online, there is no reason to wait any longer. 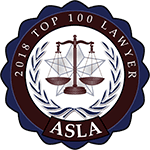 Our firm has represented clients in divorce and family law cases for more than two decades—we are dedicated to helping our clients through some of the most complicated legal issues. If you are facing a family law legal matter, we encourage you to contact a skilled attorney from our firm as soon as possible.